Some days ago I installed Windows 7 on my old laptop. Before that, it used Windows Vista. It used AMD Turion X2 processor and ATI Radeon X1200 as the graphic card. Black screen occurred mostly once a day. After it happened for two days, I checked for solution on the internet but most of them isn't resolved the problem clearly. After read some articles and discussions in some forums I got some information. There are two types of black screen problem. First is black screen after booting. Second is sudden black screen when we run Windows 7. The problem is not only because of Windows 7 but also the graphic card driver problem. As I know from AMD, they don't provide the best compatible driver for ATI Radeon X1200 to run in Windows 7, only for Windows Vista. In this writing, I will explain how I solved black screen problem on my laptop. My black screen problem is not the first kind but the second. First. I try suggestion from someone on a forum. 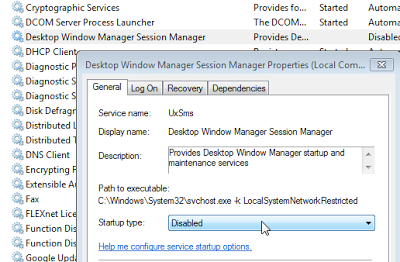 He said that he disabled the Desktop Window Manager Session Manager. These are the steps how to do that. Click Start on Windows. 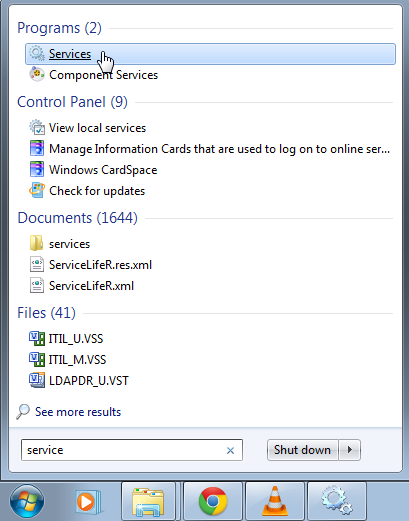 Type "services" on search box. Then choose services. Double click "Desktop Window Manager Session Manager". 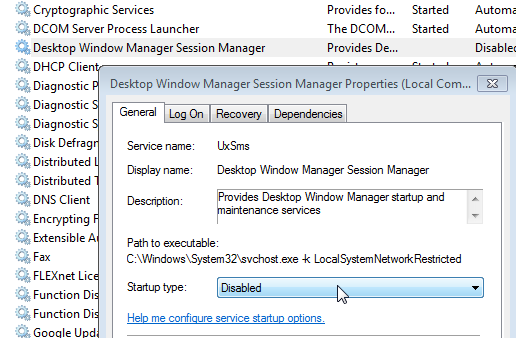 Choose disable on startup type. The result is you can't see the preview of application on taskbar. You just see the name of the application/directory. After this step, the black screen still occurred on my laptop. So, I searched other information from internet. Second. 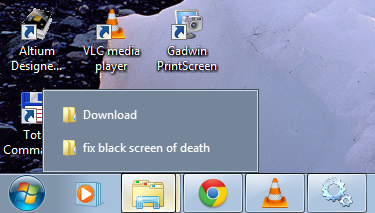 Someone said that you can solve the black screen problem by disable the graphic card driver. Here is the step. Enter your Windows in Safe Mode. You can enter to safe mode by press F8 when computer booting. 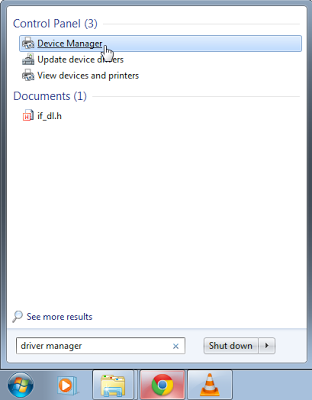 Find device manager on Windows Start Menu. Choose display adapters. Choose your graphic card by doubleclick it. Choose driver. Choose disable. OK. When we disable the graphic card driver, the graphical process will be ran by CPU. So it will make display doesn't look good and computer run slower. The display resolution became 1024 x 768 not 1280 x 800. I don't like it. So I tried another way. Third. Someone said that he can solve the black screen problem by installing only the driver but not for the catalyst control center. 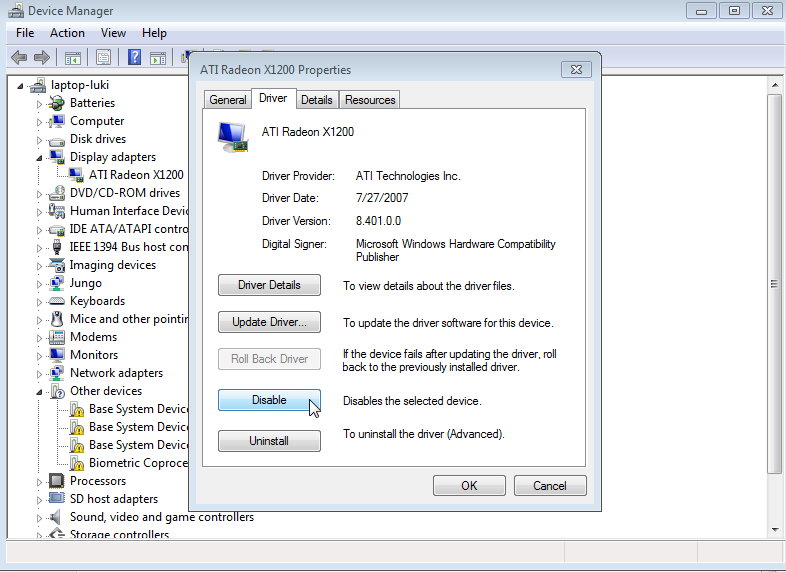 You can check your ATI graphic card driver on this site. At that site you also can read information from AMD that surely they don't support old graphic card driver for Windows 7. So here is my final way to solve my black screen problem. 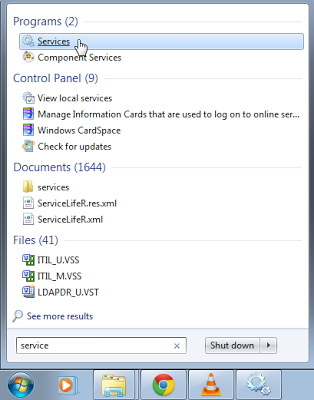 Go to Programs and Feature on control panel. After uninstalling, it will restart your computer. 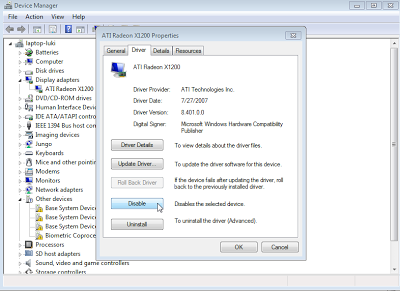 On my laptop, after restarting, it make enable my ATI driver so the display resolution become normal. I don't have any idea about it. After try three of those ways, black screen never occurred on my laptop for the last three days. I hope it will be for onward. I think the Catalyst Control Center is the problem, so if you are also sure about that just follow my third way. I hope this will be useful for you.